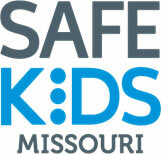 Safe Kids Missouri, led by Missouri Department of Health and Senior Services (DHSS), supports nine local Safe Kids Coalitions around the state. DHSS provides dedicated staff, operation support and other resources to assist in achieving the common goal: keeping kids safe. Based on the needs of the community, these coalitions implement programs that help parents and caregivers prevent childhood injuries such as car-seat checks, safety workshops and community events. The National Child Passenger Safety (CPS) Training is a program of Safe Kids Worldwide, which is the certifying body and responsible for managing all aspects of the program. Safe Kids Worldwide works closely with the National Highway Traffic Safety Administration (responsible for the curriculum), the National Child Passenger Safety Board (provides recommendations and guidance), and State Farm (a sponsor). Safe Kids administers all aspects of CPS certification and maintains a directory of nationally certified CPS technicians and instructors. A CPS technician uses their expertise to conduct community presentations and/or child safety seat checks where parents and caregivers receive education and hands-on assistance with the proper use of child restraint systems and seat belts. A majority of parents still misuse their child restraints and need help to get it right.